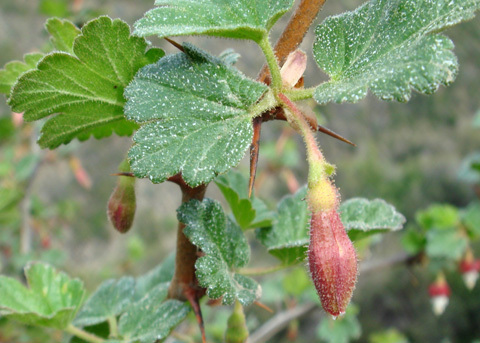 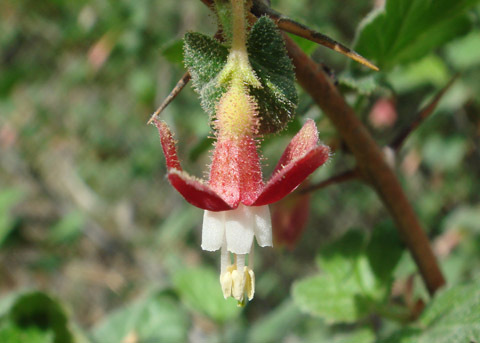 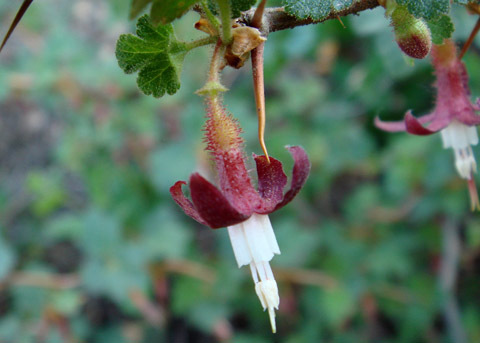 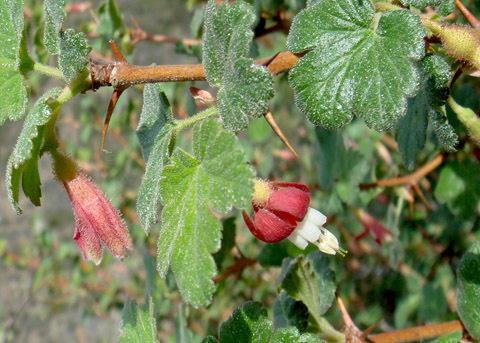 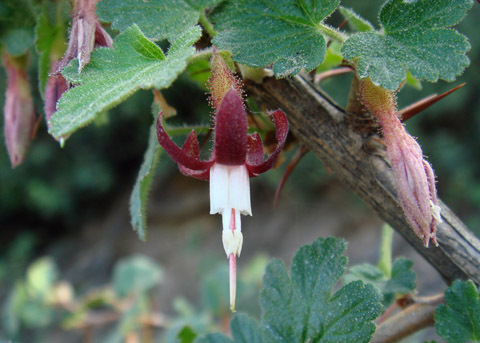 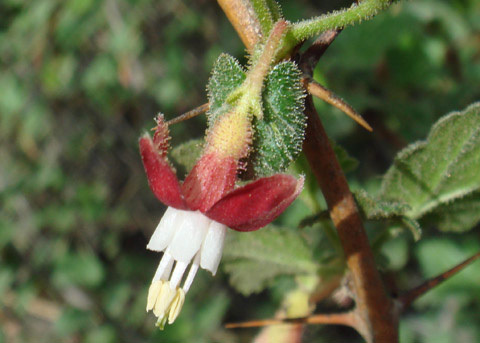 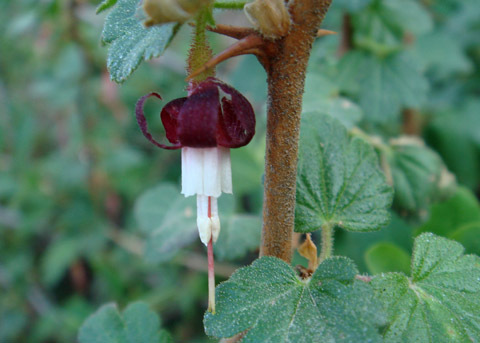 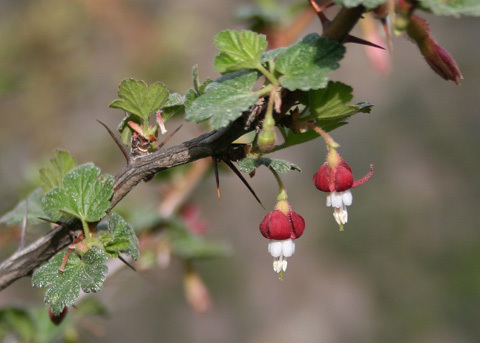 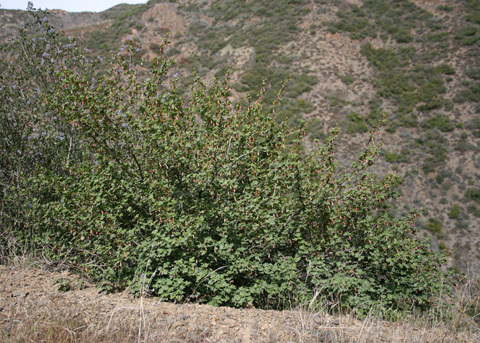 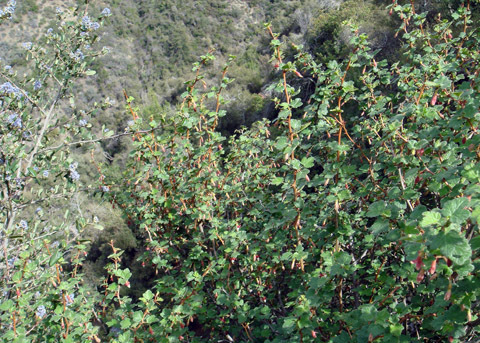 An erect summer-deciduous shrub from 3 to 6 ft. tall, "fairly common in shaded woodlands and chaparral at higher elevations in the Santa Ana Mountains." 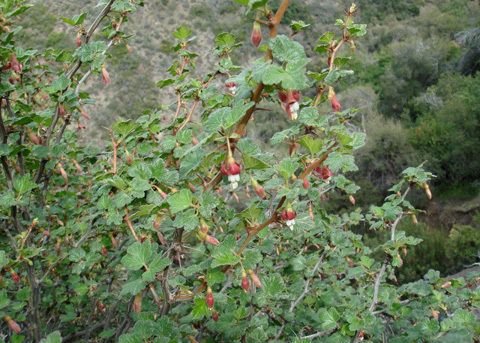 (Roberts, p. 143). 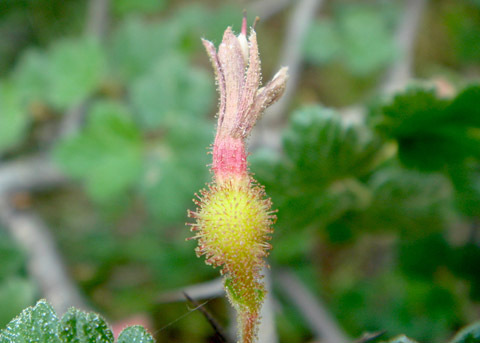 New leaves appear in winter before the flowers. 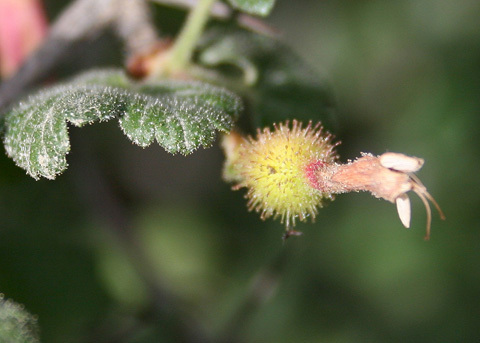 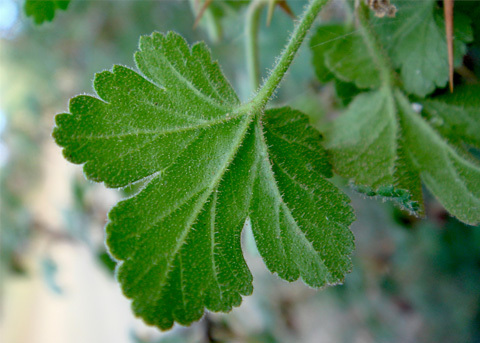 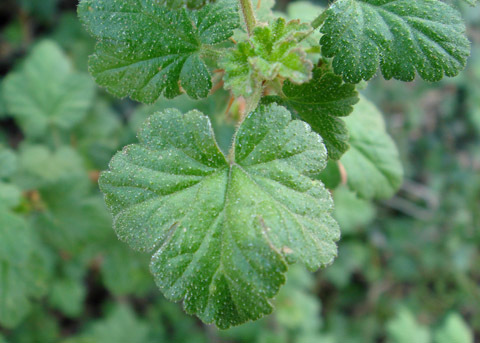 Twigs, leaves, sepals and fruit are covered with glandular hairs. 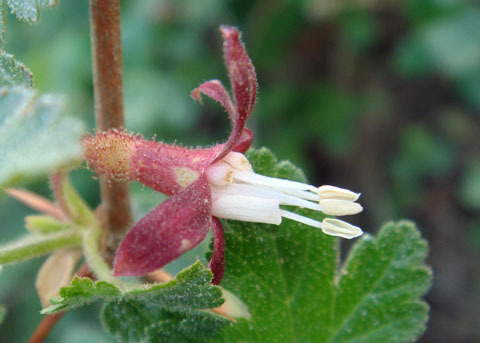 Pollination is by hummingbirds and small bees. 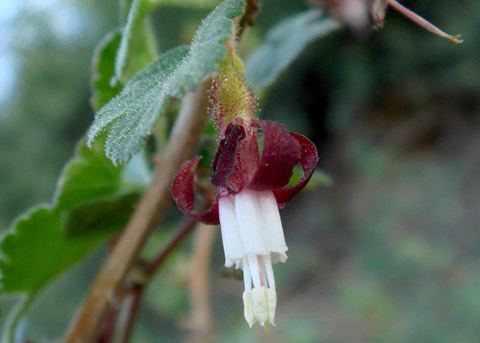 Flowering February to April.